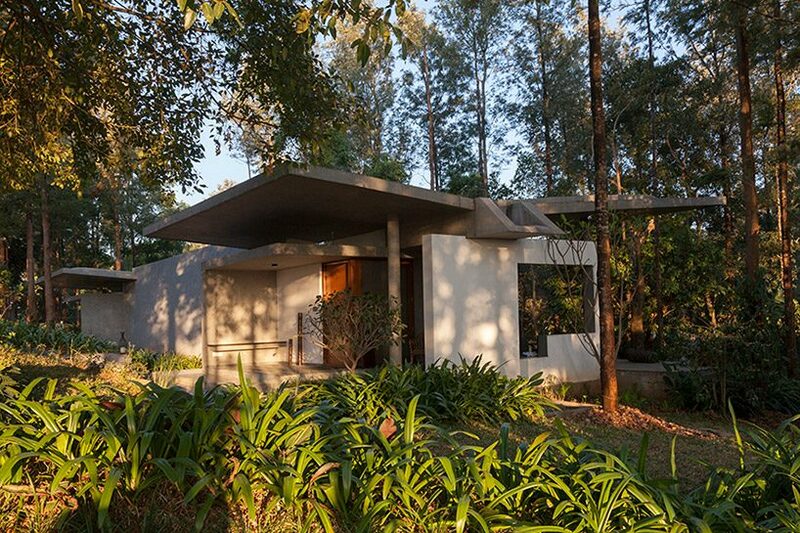 ‘java rain’ by cadence architects is a contemporarily styled resort, crafted in traditional techniques, sourced through local materials, nestled in the veritable coffee hills of india, mullahangiri hills, chikmagalur. 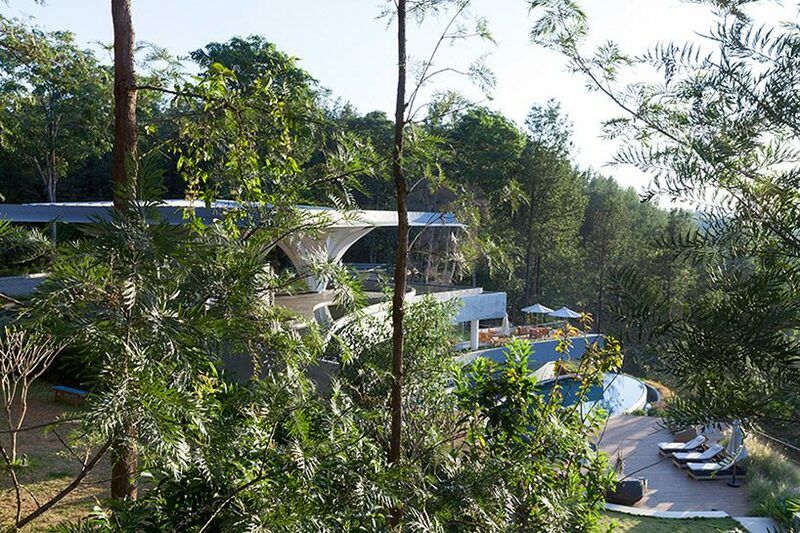 the volumes of the resort repose on the natural contours of the site, interwoven with the landscape. the surfaces of the buildings here are rendered with earthy and rustic materials to accentuate their contemporary forms. 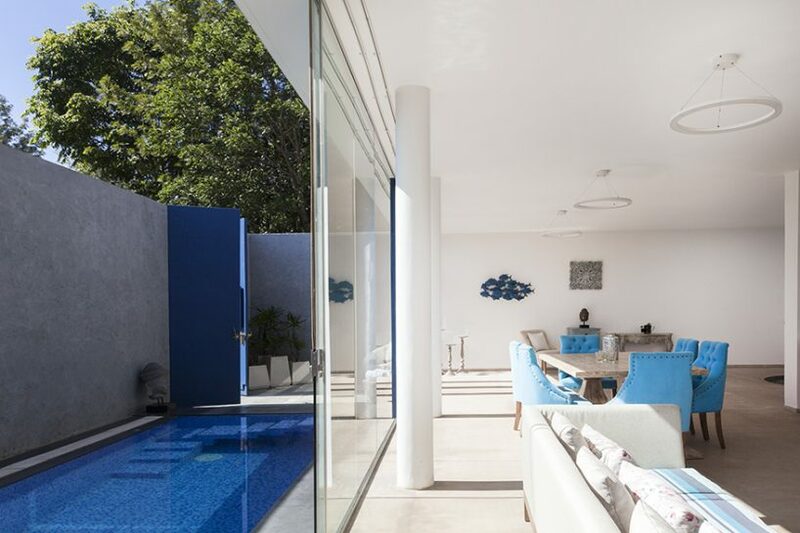 local materials available on site are extensively used to not only help the architecture blend with the context but also make the project sustainable. the site is situated in a 40-acre coffee estate in chikkamagalur at the foothills of mullahangiri hills, overlooking the valley beyond and the town on chikmagalur. 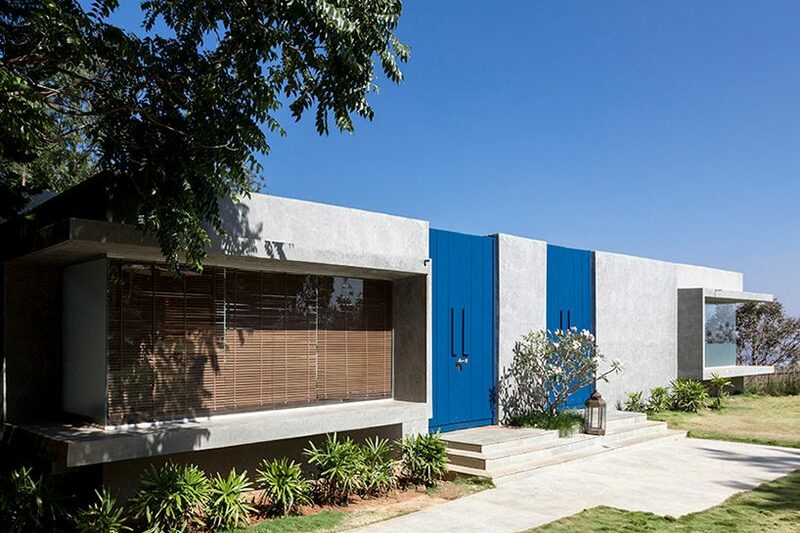 with a mesmerizing natural backdrop for each built form, cadence architects’ development comprises of a clubhouse, single villas, twin villas, a spa, a restaurant, a treehouse, and other ancillary facilities. the challenge of this project was to insert built forms into the existing landscape and blur the edge seamlessly like a graft. the clubhouse is conceived in multiple levels according to the contours on the site and to capture the view around. a minimum number of trees was cut to insert the building into the natural fabric. 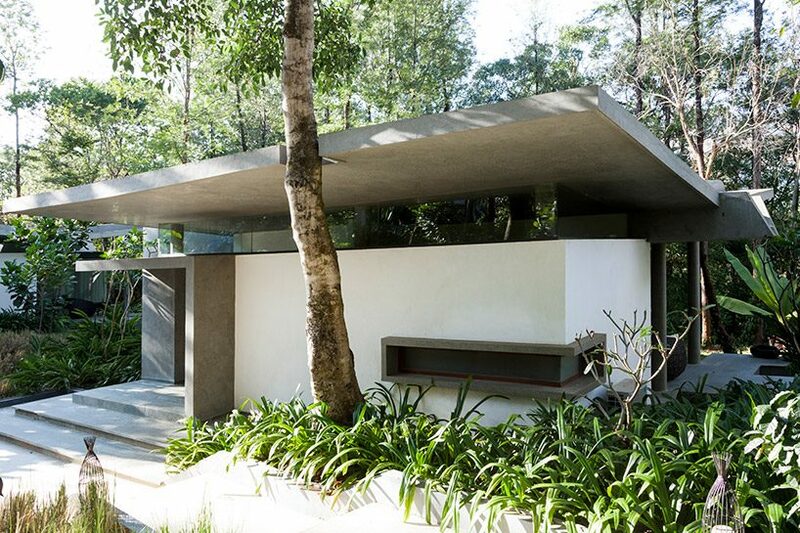 the house comprises an entrance area, the roof of which is inspired by flowers in a forest. 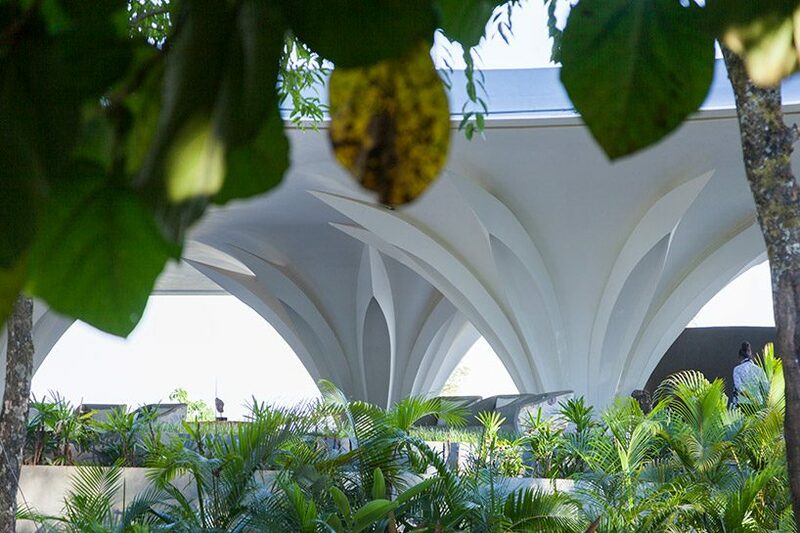 for this canopy, using flowers as an analogy, the form is conceived to rise up from three distinct points to form a large overhang. 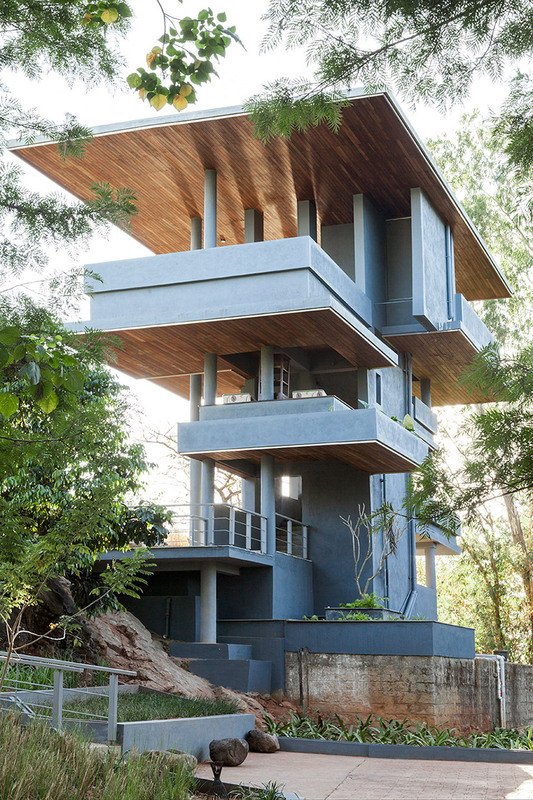 this entire structure is made out of metal and draped with a coating of ferro-concrete to give a smooth sensual feel. the underbelly of this canopy houses the waiting area and the reception, and offers beautifully framed views of the valley beyond. 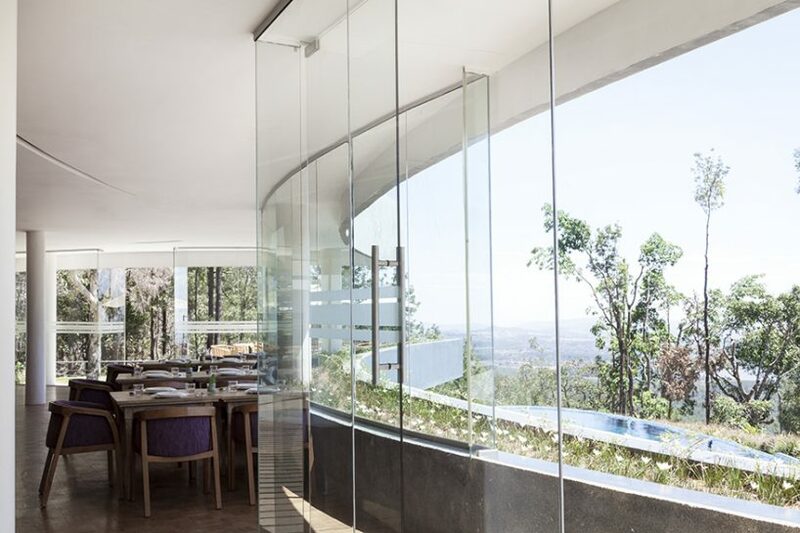 a grand helical staircase takes the visitors to the lower level into the restaurant, which peers into the valley. 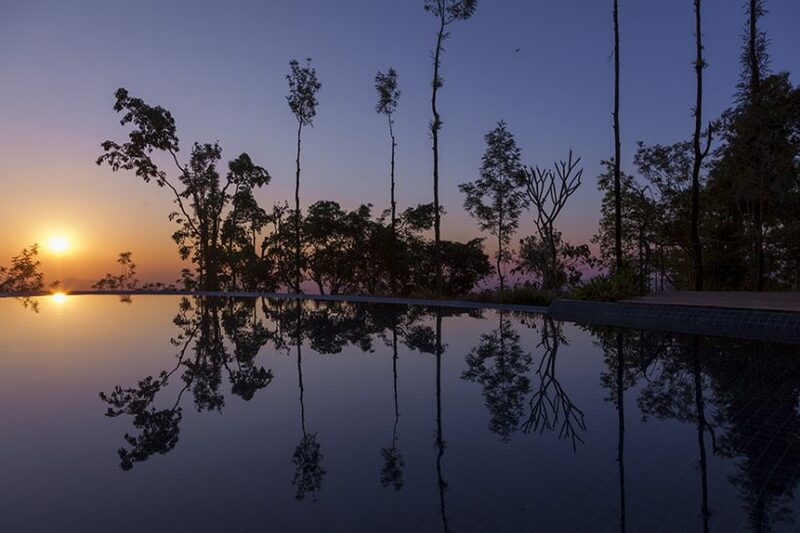 just below this level, is the infinity pool which thrusts itself amidst the trees. 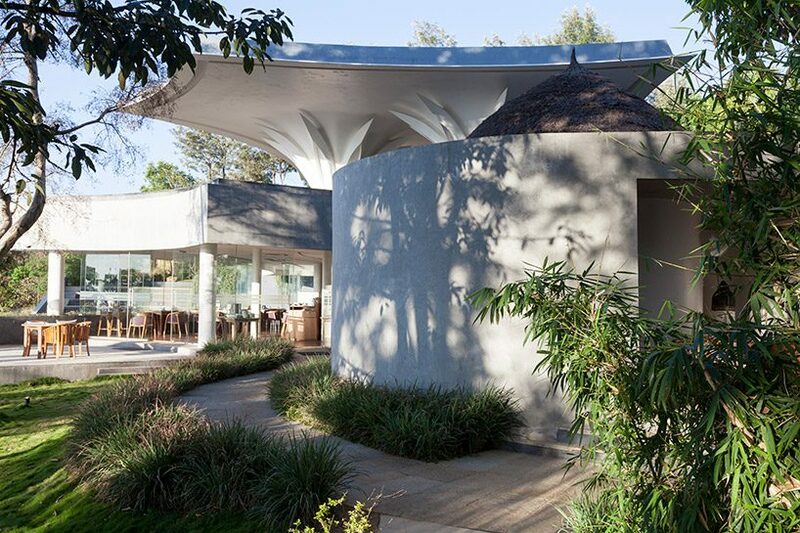 the organic geometry of the entire clubhouse enables it to be one with nature. the villas question the conventional notion of a cottage with a traditional pitched roof by having a butterfly roof, and are extensively glazed to capture the views around. every cottage has a large deck which is simultaneously both inside and outside. the decks are as large as the rooms themselves to encourage inhabitants to use them as functional spaces as opposed to just spill over spaces. while the rooms enable a strong visual connection with the landscape, the decks enable a tactile one. the roof becomes a critical element as the large exaggerated overhangs not only make it theatrical and give a sense of calm and levitation but also become shading devices to cut the glare and heat of the sun. 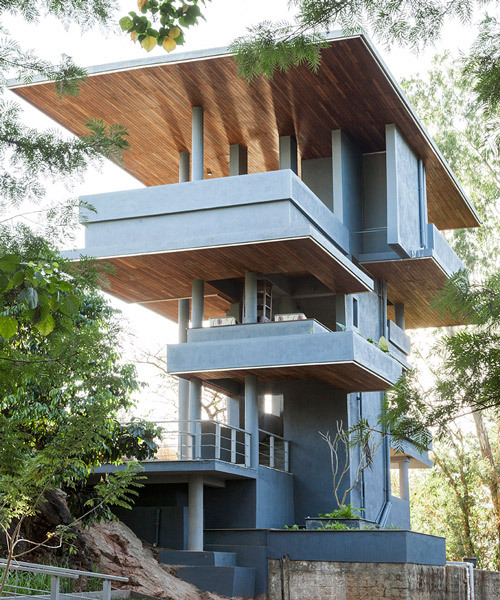 an elevated café aptly named the ‘treehouse’ provides a panoramic view of the scenic site and an adjacent lake. the treehouse is perched on the edge of the property over a rocky outcrop with a 270-degree view of the surrounding hills. it is delicately perched on a rocky outcrop marking the edge of the property. 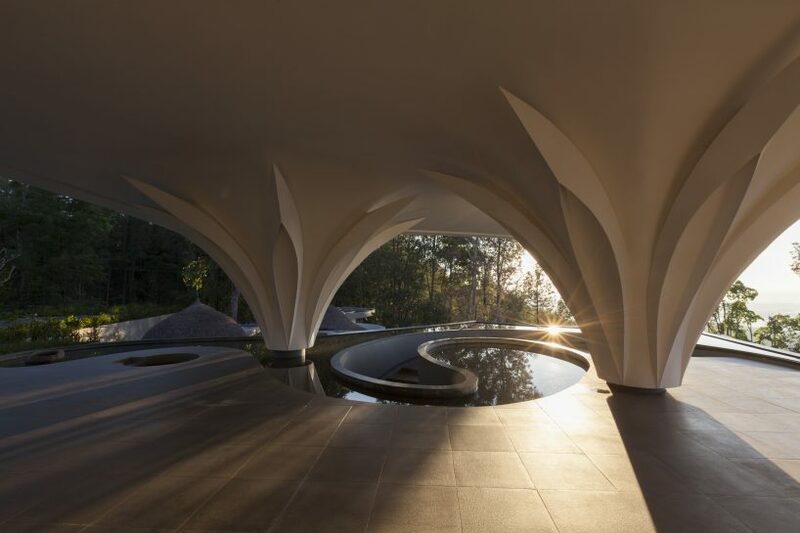 the spa has massage rooms that open into private courts; the shape of the spa is very organic and is conceived as a womb-like space for the users. the interplay between open and semi-open spaces orchestrate most of the built form’s visual focus over the panoramic views surrounding the site. using locally sourced materials, a rustic feel is imparted to contemporary forms.